Most students remember the story of Orson Welles’s War of the Worlds radio broadcast from high school history class: gullible Americans mistake a sci-fi radio drama as real news and flee in terror. It’s the seminal fake news story, but as described in A. Brad Schwartz’s book Broadcast Hysteria: Orson Welles’s War of the Worlds and the Art of Fake News, the press coverage of the largely non-existent panic was the bigger fake news event. Serendipitously, Schwartz’s book was released a month before Donald Trump announced his presidency in 2015. Paste reached out to Schwartz to see what we can learn from the 1938 War of the Worlds broadcast in today’s news environment, and how the meaning of the term fake news changed—or has possibly been obliterated completely in the age of alternative facts. Paste: What new insights have you gathered in the last 20-plus months? Has your thinking about fake news changed since you wrote the book—especially as Trump likes to mutilate the definition of fake news? A. Brad Schwartz: Yeah, my thesis advisor at the University of Michigan used to point out that I was sometimes guilty of an elastic definition of “fake news.” On the one hand it can be news hoaxes, and on the other hand it can be the satire of somebody like a Jon Stewart or a Stephen Colbert. He was telling me to take a side. And it seems like with that term, we reached the point where it’s ceasing to have any meaning, because it’s being made to refer to so many different things. This past election—and similarly the influence of not just the outright hoaxes, but the Brietbart’s and the heavily politically slanted news—is a perfect demonstration of what I talked about in the book; the idea that the media can’t necessarily convert people, but it activates people. You respond to things that you hear that fit your preconceived notion. Using the last election as an example, if you were inclined to believe, as many people were, that Hillary Clinton was engaged in something corrupt and nefarious, the email issue played into that perfectly. It was ginned up to an absurd degree, even though the best information that we have shows that there’s nothing there. And now of course we’re discovering that her opponent has a far more cavalier attitude towards classified information than she ever displayed. So the way that story kind of took over the narrative of the presidential election—and really, the email issue really destroyed her campaign unfairly—is a perfect demonstration of the media’s power not to change minds but to dig people even more deeply into the beliefs that they have. Looking back at the book now, I might have been a little too optimistic about people’s ability to think critically about the things they see online, that maybe the up-and-coming generation who has grown up with this would be more savvy about what they see. I’m not sure the last election demonstrates that nearly as much. But my overriding interest in War of the Worlds and why I think it’s such an important story to tell is that it’s a great reminder to be skeptical. When Pearl Harbor happened, because War of the Worlds was so fresh in people’s minds, the first thought people had was “Oh, this is another War of the Worlds.” So maybe if there’s a silver lining to what we’re going through right now, it’s that people will think more critically in the future, and the press, and they already have, will take their responsibilities more seriously. Maybe we have to hit rock bottom to climb out of where we are. Paste: One of lessons of your book is that skeptical people who were not fooled by the War of the Worlds broadcast did not apply that same skepticism to news coverage of the basically non-existent panic. You describe the press-invented panic as the bigger fake news event, in some ways. How do evaluate the current press’s coverage of fake news, in that regard? Schwartz: A lot of it is too little, too late, like what I said about the email thing. What the War of the Worlds story demonstrates is the press’ ability to create and shape narratives that then impact real life. They set the tone and the terms of the discussion, and everything else plays out along those lines. Because of the way the coverage of the election was structured, there was so much stuff going on the Trump side that you couldn’t necessarily grab ahold of one thing. Maybe it should have been Russia, maybe it should have been his temperament, but there was just so much going on. If you were just dipping into the press coverage and not following it intently, there was no one issue that jumped out at you. But on the Clinton side, the narrative was: “emails, we don’t know exactly what the emails are, but something in there is dangerous.” The narrative shifted to fit that perception. So that would be the much bigger fake news. Even bigger than the individual hoaxes that came out during the campaign. That would be the big fake news narrative, that the emails were a serious problem. Paste: Sure, taking a non-story and turning it into an over-arching narrative. Schwartz: Precisely, which is what happened in War of the Worlds. There were isolated instances of panic, but there wasn’t this mass wave of hysteria that the press, and later the Princeton study, described. But because that was the narrative that they created, that comes down to us through the popular culture, through the academic literature. And still to this day, it influences how we understand the power of the media. And so this past election has been a perfect demonstration of how the legitimate news media can make something out of nothing that then becomes something even more monumental. Paste: Newspapers never went back and corrected their original coverage of the false panic in 1938, and instead focused its follow-up stories on the dangers of radio. Today, news coverage focus on the dangers of the internet and social media and fake news, rather than analyzing its own coverage. Schwartz: Yes, it’s a lack of self-awareness to a certain extent. The situation in 1938 was a little different. That whole story was kind of a hot take. They lacked a lot of the tools that we now have to judge the size of what happened. They jumped to irresponsible conclusions and then they didn’t bother doing any follow-up coverage. But it jumped straight from the front page to the editorial page, as you said. Nowadays, the press has so many tools that I’m glad the focus is now on the Russia investigation which is where it should be. Paste: Did you see the study last month, Social Media and Fake News in the 2016 Election, by the Stanford and New York University researchers? Schwartz: I’m not sure I saw that one, but I saw the other one from Stanford about high school kids being unable to discern real news from fake news. Paste: I do remember that study, which kind of punches a hole in one idea I had. According to Social Media and Fake News in the 2016 Election, by the Stanford and New York University researchers, the vast majority of fake news stories were pro-Trump, and Trump supporters were more likely, on average, to believe fake news stories. And I wondered if that didn’t have so much to do with political bias as it did with age, since Trump supporters are, on-average older. 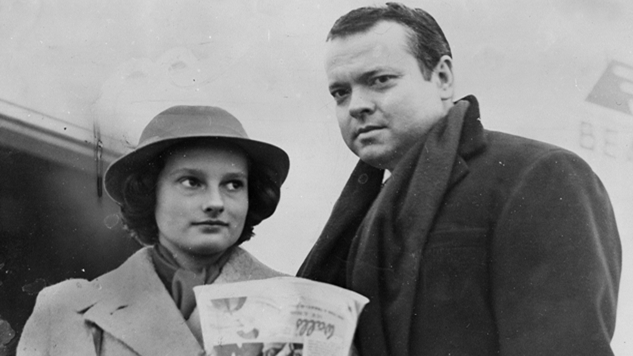 I was thinking about the letters written by children to Orson Welles after the War of the Worlds broadcast, and they weren’t fooled. They knew the medium of radio better than their parents from listening to shows like Flash Gordon; they could pick up on cues that War of the Worlds was fiction. I wonder if online, younger readers would be less likely to be fooled because they are more familiar with the medium. Schwartz: That was my take with War of the Worlds, to some extent, which is why the Stanford study (about high school kids) was so interesting. It may also be too that the Right in America has for decades now built-up gradually, but inexorably, their own media ecosystem, their own kind of echo chamber, where if you are in that, you’re getting a much different view of the state of the country, than if you’re watching CNN or MSNBC regularly. The vision of America that Trump gave in his inaugural address is the vision of America that you get if you’re in that conservative media bubble. And that may be a reason why the Trump supporters were more susceptible to these kinds of fake news. But I also think that the Stanford study (about high school kids) is troubling. You’d expect people who had grown up with this technology to be more savvy about how to use it. And I think it points to the one really major thing we can do to try and prevent another fake news crisis like we had in the 2016 election, is to make a big push towards teaching media literacy in the schools. That was kind of the outcome of the Stanford study, and others have been saying it. Teaching people how to make sense of it—the one thing that came out of War of the Worlds—the more education you have the less likely you were to be fooled. You can teach people how to make sense of this crazy media world were in. We’re just not doing it, and we should be. Paste: So you do think education can help guard against being fooled by fake news? Schwartz: Anybody under the right circumstances could be fooled. Today, education always helps, but it has to be the right kind of education. You have to be teaching the tools of critical thinking. It doesn’t mean you can make someone immune necessarily to media persuasion the way [1930s researcher] Hadley Cantril wanted to do. But it does mean you can give people mental tools to evaluate what people see on Twitter. To question, to check and see how well sourced something is. To look at who is putting this out. Is this person or publication credible? Those kinds of things, patterns of behavior, are something that can totally be taught, and that hasn’t been a priority, certainly, in education. Paste: I couldn’t agree more. When I was a newspaper reporter, and I would call someone for an interview, often times they wouldn’t know the difference between advertising and editorial. And if they knew the difference, they wouldn’t know the difference between reporting and the opinion page. Schwartz: That was one of the things in the Stanford study. The kids they interviewed didn’t know the difference between a tweet that was promoted and the tweet that was just a regular news tweet. That’s really basic stuff, but too few people approach the media that way right now. Paste: I wanted to ask about the man who fired a gun in a pizzeria in response to a fake news story. Do you think that received adequate press attention, too much press attention? Schwartz: It’s not necessarily a question of the volume of coverage, but the aspects of the story that they’re covering. On the one hand, it’s a very important story because it shows, again, this dangerously unhinged subculture on the internet. It was an extreme example, but it’s certainly a valid one. But the really troubling aspect of that story was Michael Flynn’s son was tweeting about it, and it wasn’t repudiated by people in the incoming administration. So, that’s an instance where it’s not just, “oh look at these people on Reddit who are spreading crazy conspiracy theories.” You have people who are about to take the reins of government who are profiting from and even promoting this way of looking at the world. So this might be another instance of the media getting distracted by the shiny object and missing what’s really going on here. Paste: Do you think the proliferation of fake news reduces reader’s trust in legitimate news? Does it make them more healthily skeptical, or cynically skeptical? Schwartz: Unfortunately, it’s a situation where we’re in the latter. That kind of unhealthy cynicism is much more dangerous than the kind of fake news hoaxes that proliferated during the election—that’s the whole point. That’s what an authoritarian wants to do, to delegitimize the press. And when you have the president coming out and saying CNN is fake news, a certain segment of the public is not going to believe the most recent revelations about the Trump campaign having regular contact with the Russian government. I’ve seen it said that the objective of a regime like Putin’s is to not necessarily convince you of something, but to destroy the concept of truth itself. And that’s the real danger. Paste: In the age of alternative facts, does it even matter whether a story is true or not to some readers? Schwartz: I continue to believe that the central issue of our time … is that our media culture has become so fragmented, and we’ve gone into our own individual silos. We no longer agree on the same basic set of facts anymore. If you look at an issue like climate change for example, if a significant portion of our country doesn’t believe it to be true, you can’t take any significant action to fix it until you reach that kind of consensus. So unless we somehow getting back to a situation where we all agree there is some form of objective truth, and that some issues are real and need to be addressed, then we’re going to continue to be paralyzed as a society, with a government that struggles to function. Paste: Your book describes how, following radio’s Golden Age in the 1930s, commercial interests became the censor, and not the FCC. Advertisers did not want programming to frighten or challenge listeners. Broadcasters also stopped producing educational or artistically risky programming that lacked sponsorship. Viewing the internet in the same way, do you think corporate advertising interests will have the same censoring effect on the internet? Is the internet’s golden age behind us, present or ahead of us still? Schwartz: I certainly hope not. Net neutrality has suddenly come under threat again because of who’s in charge of the FCC. I wrote a piece about that back when (former FCC Chairman Tom Wheeler) had yet to decide on the issue of net neutrality. I found it to be a very similar situation to the 1930s, when you had a system in place where this new technology was corporate-controlled, but there was a level of freedom and responsibility to the public interest that allowed this large creativity. People like Orson Welles were the beneficiary. And today, the existence of the open internet has that same freedom, that same level of openness that allows creativity. If you were to see the internet turn into more of a cable TV, pay as you go system, I think that would destroy it. And I think you would see a similar decline as American radio suffered in the post-1930s era. Keep in mind, radio drama—we tend to in the United States have this sense that TV came in and radio drama was doomed from the start. But radio drama has persisted to this day in countries with not-totally advertising-funded broadcasts. In England, Canada and others it remains a vital form. And it’s kind of coming back now with podcasts. But we didn’t have to take the road we took. And so I hope we don’t make the same mistake with this wonderful, wild internet that we currently have. Ed McMenamin is a regular contributor to Paste and Under the Radar magazines. Follow him on Twitter, @EdMcmenamin.